I think one of the most valuable things that's come from establishing the Moreland Food Gardens Network (and it's pretty self evident I guess) is the connections that we've established within our local community. SGA have doing a great job helping people to establish local organic gardening groups (PODs). Enabling people who share a common interest to find each other is tremendously valuable. A networked community is stronger and more resilient. It goes without saying that this is one of the most powerful things that the internet and web has facilitated. We could do it before but now it's so much easier. agrowculture is an inspiring project in New York that's enabling farmers and communities to establish hyper-local food networks by providing resources, information and tools and by helping them to petition for opportunities to grow food in their local areas. We grow hyper-local food production and sales networks. We connect urban farmers with their community through our online sales and marketing platform. We help you start small-scale urban farms, by connecting you with real-time local market data, project funding and urban farming technologies. Check out this video that explains how they're hoping to do it or read their latest post here. The Moreland Food Gardens Network is currently focusing on advocating for urban horticulture at local government level. Early this year we've had the opportunity to contribute to the drafting of the Moreland Open Space Strategy (MOSS). To have a read of the submission we've made to the City of Moreland regarding MOSS click here. ● the retention and propagation of culture and knowledge. 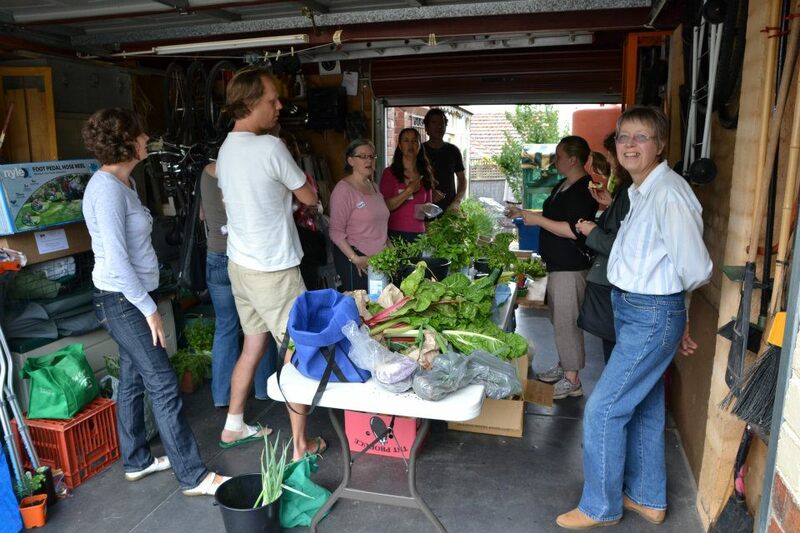 Many Moreland residents already participate in urban horticulture activities both publicly and privately. Of course private gardens are probably the most common place for this to happen but a more careful examination of the open space in Moreland reveals a range of other locations being used including community gardens, nature strips, beside railways and freeway overpasses as well as in planter boxes. At the moment,the Draft Moreland Street Landscape Strategy is up for community consultation and we plan to put together a response. If you would like to get involved in this process, please let us know! It's up for consultation until 11th May 2012. MFGN encourages collaborations with Council, various organisations and research institutions and of coarse residents, in order to achieve a healthier and greener Moreland for years to come. • Free products to make your home more energy and water efficient – installed at no charge. • Ongoing support through the Zero Carbon Moreland community program, including updates on how to continue the good work you've started with Concession Assist. Book your free Home Energy Check via the registration page or call the Moreland Energy Foundation today on 9385 8585. If you haven't come across the Plants For A Future website, it's worth taking a look and bookmarking. They have an amazing database of about 7000 edible, medicinal and otherwise useful plants. It has photos, use information for many plants and a search tool for sifting through the database. One downside is that it is UK focused so Northern hemisphere seasons are shown as well as growing instructions. Also, it's a noble work in progress so forgive them a few gaps (no Pepperberry for example).